Expertise. Performance. Personality. Experienced management that is personally involved and with a clear vision for continued success. Adam Runsdorf established Woodfield Distribution, LLC in February 2010 as a Logistics Services Provider empowering the Life Sciences industry including Warehousing, Distribution, Reverse Logistics, Regulatory Compliant Product Disposition and Transportation Management. The company’s diversified operations include Packaging and Labeling, Physician Sampling and Messaging, Patient Assistance Programs, Financial Services and E-Commerce Solutions. 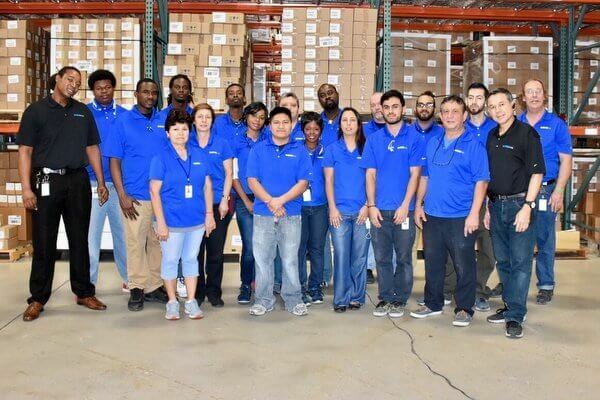 Woodfield Distribution, LLC maintains headquarters in Boca Raton, Florida and operates secure climate controlled facilities in Florida, New Jersey, Texas and Ohio which are licensed to meet federal and state regulatory requirements. Clients include domestic and international manufacturers of prescription and over-the-counter pharmaceutical drug products, nutritional supplements, dietary foods, medical devices, animal health and personal care items. Advanced technology, class-leading facilities and exceptional customer service are key elements for reducing costs and streamlining efficiencies for clients and patients. 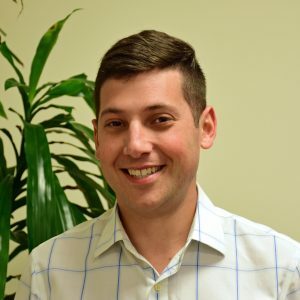 Adam is a graduate of Rutgers University and currently resides with his family in Boca Raton, Florida. Rob Gerstein was named Vice President of Woodfield Distribution, LLC in February 2010. Rob is responsible for overseeing the company’s business operations including Product Receipt, Storage, Inventory Management, Order Fulfillment, Packaging, Returns Processing, Product Disposition, Physician Messaging, Financial Services and Information Technology at all WDSrx 3PL pharmaceutical facilities. 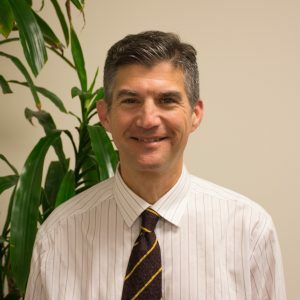 Previously Rob has worked in senior management and ownership positions in the financial securities industry specializing in finance, operations and regulatory compliance. Rob enjoys golf and family time at home in Boca Raton, FL with his wife and two children. Born in Queens, NY, Rob graduated from Northeastern University in Boston, MA with a degree in Business and Management in 1988. Carl Ambroise oversees Information Technology capabilities at WDSrx. The specialized services and diverse operations at WDSrx rely on a robust technology infrastructure to maintain current operations and to anticipate future demands. Carl heads a team responsible for data integration and transparency, data security, real-time access, regulatory compliance and automated reporting. Industry-leading technology enables WDSrx to increase operational efficiency while providing the highest level of personalized support. As a Third Party Logistics provider with active packaging lines, WDSrx IT strategy stresses systems flexibility with streamlined reporting. Pharmaceutical manufacturers require their 3PL partners to adapt to their desired solutions while dispensing organizations impose different guidelines in order to receive inventory. Significant investments in the WDSrx Information Technology backbone are readying WDSrx in advance of future Drug Supply Chain Security Act (DSCSA) regulations for Serialization and Track and Trace relating to Third Party Logistics Providers. With a B.A and Master’s Degrees in Biology from Brown University, Carl applied his education to the technology industry with positions at Staples and CMP Media in Boston before starting a consulting practice. He began his career at WDSrx in 2013. The father of two daughters, Carl resides in Wellington, FL and enjoys casting his fishing line in local waterways when time allows. Eric Nestler is the Director of Supply Chain at WDSrx-Woodfield Distribution, LLC with responsibility for systems analysis and vendor relations. He assumed his current position in February 2018. Eric manages vendor and supplier programs in order to improve integration with internal systems in response to client requirements and market demand. Previously, Eric served as Reliability Engineer at Florida Crystals in charge of maintaining the largest biomass co-generation power plant in the country. His aptitude for running complex systems was developed over six years as Principal Nuclear Plant Engineer at Knolls Atomic Power Laboratory (KAPL) in Saratoga Springs, NY, where Eric trained U.S. Navy sailors and officers on the operation and maintenance of nuclear-powered submarines prior to their deployment. Eric earned a Bachelor of Science in Engineering degree with Honors from the University of Florida in 2007. In his spare time Eric enjoys sports, attending concerts and playing the drums. He resides in Wellington, FL with his wife and two children. Larry Hotz is the Marketing Director at WDSrx – Woodfield Distribution, LLC, a pharmaceutical logistics services provider. WDSrx fulfills orders of prescription drugs, over-the-counter medications, human and animal health and wellness products from manufacturers to dispensing points within the supply chain including distribution centers, institutions, retailers, physicians, practitioners and consumers. Larry runs WDSrx initiatives that create connections with potential and existing clients, vendors, employees, government officials, industry, academic and media influencers informing them about the vital functions WDSrx performs that benefit patient health by reducing cost and increasing productivity. Hotz also oversees advertising, public relations, social media messaging, website engagement, corporate identity, content creation, trade shows and event production. Prior to joining WDSrx, Larry ran a media analysis consulting firm. He also held senior positions in the public relations departments of prominent fashion design companies including Donna Karan and Hugo Boss. A graduate of McGill University and of the Fashion Institute of Technology, Larry devotes time to Family Promise. Hotz resides in Boca Raton, FL but still enjoys the change of seasons. Erika Salamon is the Quality Assurance and Regulatory Affairs Manager for WDSrx – Woodfield Distribution, LLC. Erika calls upon over nineteen (19) years of extensive experience in all phases of Quality Assurance within the pharmaceutical industry. Prior to joining WDSrx in 2015, Erika served as a Manufacturing Quality Assurance Supervisor and Packaging Supervisor with leading multi-national producers of biopharmaceutical and personal care products including generic pharmaceutical drug products. Erika also has experience in solid dose tableting products including Controlled Substances (CII-CV). At WDSrx, Erika’s responsibilities include ongoing Compliance with CFR 210 and 211, cGMP, SOP, FDA, OSHA, DSCSA and other Federal and State regulations. Activities involve creation and execution of SOP writing and revision, Change Controls, Nonconformance – Deviation Reports, CAPA Reports, Training, supervision of the quality function of on-site packaging operations and Audit responses. Erika participates in external audits by DEA, C-TPAT, VAWD and in Customer Audits. Erika assures WDSrx achieves client goals and objectives by developing and maintaining company policies and procedures to support operations and maintain compliance. Edwin Suarez brings over 25 years of related experience to the role of Production Manager at WDSrx. The position was created in March 2017 in order to assure all on-site packaging and labeling equipment meets DSCSA and other regulatory requirements. His responsibilities include adherence to cGMP guidelines to support operations in a pharmaceutical packaging environment. Before joining WDSrx, Edwin held multiple positions in production, engineering and maintenance for pharmaceutical manufacturers and consumer goods companies. Edwin has diversified experience within food, pharmaceutical, nutritional supplement, medical and chemical facilities. A graduate with a degree in Electronics from Inter-American University in Puerto Rico, Edwin also studied Electronics at the Ponce Technical Institute and is the holder of an Electrician’s License from the Colegio De Peritos Electricistas De P.R.